1. Shivnarayan (d) By Lrs. v. Maniklal (d) Thr. Lrs. The Code of Civil Procedure, 1908 - Section 15 to 20 - “place of suing” - Suits to be instituted where subject matter situate - Suits for immovable property situate within jurisdiction of different Courts - For a suit filed in a Court pertaining to properties situated in jurisdiction of more than two courts, the suit is maintainable only when suit is filed on one cause of action. The Code of Civil Procedure, 1908 - Section 17 - Applicable when there are more than one property situated in different districts. What is the meaning of the word “any portion of the property” ? There may be a fact situation where immovable property is a big chunk of land, which falls into territorial jurisdiction of two courts in which fact situation in Court in whose jurisdiction any portion of property is situated can entertain the suit. Whether Section 17 applies only when a composite property spread in jurisdiction of two Courts or Section 17 contemplate any wider situation. The General Clauses Act, 1897 - Section 13 - Gender and number - the word “property” used in Section 17 can be more than one property or properties. Partition - Partial as to properties - Partition partial or total - Partial partition of property is well accepted principle with regard to a joint family. Ambit and scope of Section 17 of C.P.C. (i) The word ‘property’ occurring in Section 17 although has been used in ‘singular’ but by virtue of Section 13 of the General Clauses Act it may also be read as ‘plural’, i.e., ”properties”. (ii) The expression any portion of the property can be read as portion of one or more properties situated in jurisdiction of different courts and can be also read as portion of several properties situated in jurisdiction of different courts. (iii) A suit in respect to immovable property or properties situate in jurisdiction of different courts may be instituted in any court within whose local limits of jurisdiction, any portion of the property or one or more properties may be situated. (iv) A suit in respect to more than one property situated in jurisdiction of different courts can be instituted in a court within local limits of jurisdiction where one or more properties are situated provided suit is based on same cause of action with respect to the properties situated in jurisdiction of different courts. 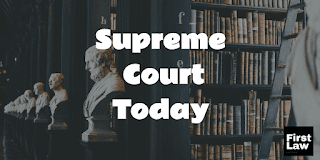 The Specific Relief Act, 1963 - In a suit filed under Section 38 of the Specific Relief Act, possession on the date of suit is a must for grant of permanent injunction. When the first respondent-plaintiff has failed to prove that he was in actual possession of the property on the date of the suit, he is not entitled for the decree for permanent injunction. The Specific Relief Act, 1963 - Section 38 - The possession of the plaintiff cannot be based upon the inferences; drawn from circumstances. The plaintiff has to prove actual possession for grant of permanent injunction. In a suit filed under Section 38 of the Specific Relief Act, permanent injunction can be granted only to a person who is in actual possession of the property. The burden of proof lies upon the plaintiff to prove that he was in actual and physical possession of the property on the date of suit. The plaintiff has filed the suit under Section 38 of the Specific Relief Act seeking permanent injunction on the ground that he is in actual possession of the suit property. Grant of permanent injunction results in restraining the defendant’s legitimate right to use the property as his own property. Under Section 38 of the Specific Relief Act, an injunction restraining the defendant from disturbing possession may not be granted in favour of the plaintiff unless he proves that he was in actual possession of the suit property on the date of filing of the suit. Contempt of Court - A party can be proceeded for disobedience of the order of the court only when there is willful disobedience and noncompliance of the order passed by the court. In the contempt jurisdiction, the court has to confine itself to the four corners of the order alleged to have been disobeyed. 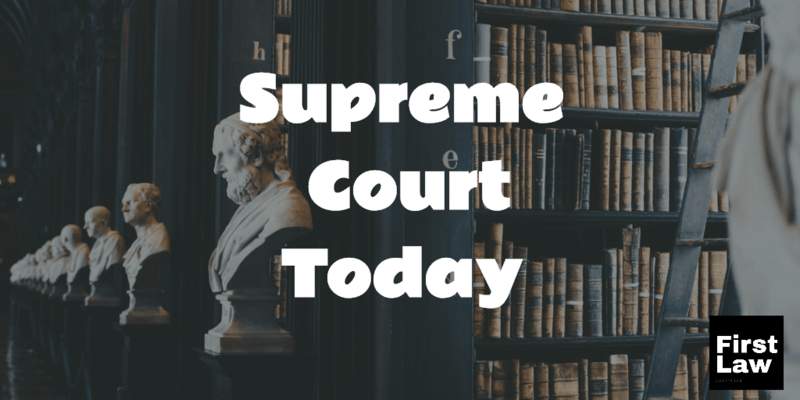 Petitioner's Advocate : Vinodh Kanna B. The Negotiable Instruments Act, 1881 - Section 138 - The subsequent filling in of an unfilled signed cheque is not an alteration. The Negotiable Instruments Act, 1881 - Sections 20, 87, 138 and 139 - It is immaterial that the cheque may have been filled in by any person other than the drawer, if the cheque is duly signed by the drawer. The Negotiable Instruments Act, 1881 - Section 139 - The existence of a fiduciary relationship between the payee of a cheque and its drawer, would not disentitle the payee to the benefit of the presumption under Section 139 of the Negotiable Instruments Act, in the absence of evidence of exercise of undue influence or coercion. The Negotiable Instruments Act, 1881 - Section 138 - The fact that the complainant might have been an Income Tax practitioner conversant with knowledge of law does not make any difference to the law relating to the dishonour of a cheque. The Negotiable Instruments Act, 1881 - Sections 138 and 139 - Dishonour of cheque for insufficiency, etc., of funds in the account - Presumption in favour of holder. The object of Section 138 of the Negotiable Instruments Act is to infuse credibility to negotiable instruments including cheques and to encourage and promote the use of negotiable instruments including cheques in financial transactions. The penal provision of Section 138 of the Negotiable Instruments Act is intended to be a deterrent to callous issuance of negotiable instruments such as cheques without serious intention to honour the promise implicit in the issuance of the same. Review - The review, it must be noted is not a re-hearing of the main matter. A review would lie only on detection without much debate of an error apparent.